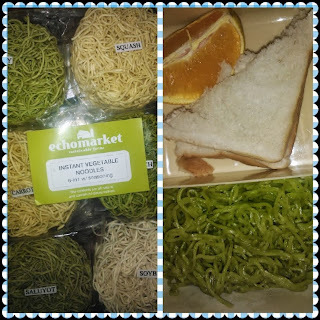 I bought Echo Store's vegetable instant noodles for my daughter's baon today. It tastes good and so natural plus, it's easy to prepare. A pack of six costs PhP 175. It includes malunggay, squash, carrot, spinach, saluyot and soybean. This blog is really very helpful, thanks for sharing this information.